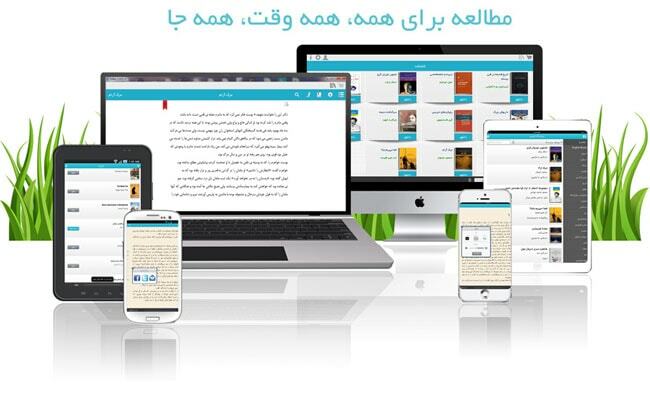 Iran's first "piracy-proof" ebookstore is now open for business. Fidibo.com, which initially opened in January 2014, officially launched on Tuesday. A ceremony was held to celebrate the opening, and in attendance were Iranian Minister of Culture and Islamic Guidance Ali Jannati, his cultural deputy Seyyed Abbas salehi and some of the members of the Union of Tehran Booksellers and Publishers. The site sells ebooks in Persian and English, and it also reportedly offers a wide selection of out of copyright titles. Customers can read the ebooks in apps for Android, Windows, OSX, iPad, and iPhone. A live internet connection is required in order to read the ebooks. According to my source, that live connection is supposed to guarantee that the ebooks cannot be pirated, but I am not so sure. Netflix has similar restrictions on their streaming content, and shows like House of Cards are readily available on pirate sites. Fidibo is the latest in a growing trend of ebookstores that focus on just a single niche market. While the indie stores are quite common in Europe and in eastern Asia, much of Africa and the Middle East are still an underserved ebook market, presenting a ripe opportunity for sites like Fidibo or the recently launched Kotobi ebookstore, which got a lot of press last month. The only “pirate proof” books are the ones nobody wants to read. And for the idiots that keep pushing schemes like DRM, live connections and so on. Remember one thing. If the user can read it, then so can a computer, only millions of times faster. Oh, and if even that fails, you can always do it the old fashioned way and type it by hand. Respect the customer before asking for money.